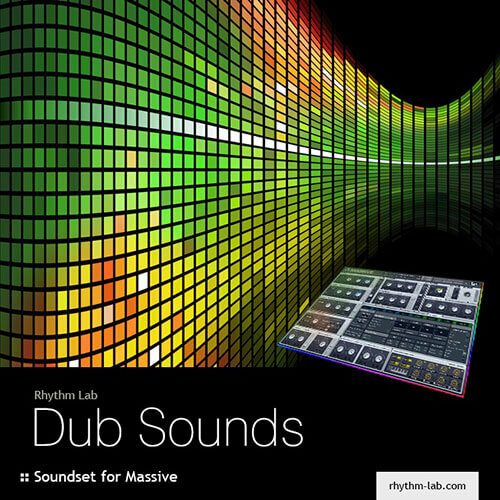 Dub Sounds is a real godsend for all who are fond of sub-bass vibes in various styles, such as dub techno, dubstep, dubwise, reggae, dubtronica and so on. It may be helpful to bring a pinch of dub to your music : some fatty subs, drilling wobbler and grime basses, noisy echoing organs and electric pianos, ambient pads and atmospheres, crazy fx sounds, deep and warm chords and hits. Every patch has full assignment to all 8 macro knobs. This soundset requires N.I. Massive (Version 1.3.0 or higher) and works with PC VST & Mac OS X AU Versions.